Did you know that if you store them in a dark, damp place, your most valuable possessions—rare books, important papers, and designer clothes—are in danger of being eaten by a sly, silver marauder? Read on to learn how to rid your home of silverfish, ravenous pests with insatiable appetites. Don’t let the name fool you: Silverfish are nothing like the goldfish you nurtured as pets in your childhood bedroom. Whereas the latter swim placidly about their aquarium dwellings, the former lurk in the dark, moist corners of your home, munching on everything from paper goods and fabric to adhesives and mold. Named for their glassy, metallic appearance and slithering style of movement, silverfish are wingless, antennaed household pests whose ancestry stems back millions of years, predating even the dinosaurs. Given their lineage and history, it’s safe to say that silverfish are a tenacious species. 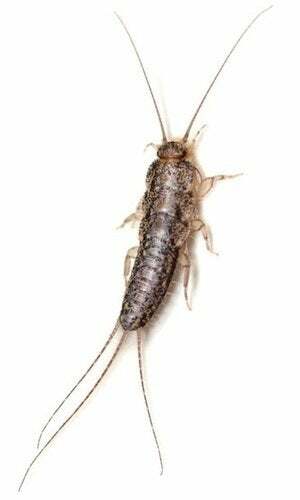 Eliminating these resilient critters from your home may not be quick and easy, but with patience and persistence, you can get rid of silverfish using the following tips and tricks. Looking for a nontoxic way to get rid of silverfish? You have at least a couple of options. Before running out to make any purchases, however, first experiment with the contents of your kitchen cabinets. Strongly scented herbs and spices have been known to repel silverfish, so try leaving out generous helpings of cinnamon sticks, bay leaves, or whole cloves, or strategically placing sachets filled with dried rosemary. If, despite your efforts, silverfish remain in your home, move on to one of the more aggressive treatments described below. Diatomaceous earth. This looks a bit like flour, but it’s actually naturally occurring, crushed-up sedimentary rock. Dust the infested parts of your home with the substance, then wait. Silverfish are not attracted to diatomaceous earth, but if they come into contact with its shard-like particles, they dehydrate and die. Boric acid. Even though it’s organic, it’s best to keep boric acid away from children and pets, because it can be harmful if ingested. Using the powder as an insecticide is as simple as sprinkling it in the path of the silverfish. Alternatively, mix it with water and, by means of a spray bottle, spritz the solution into hard-to-reach crevices. There are many pros to natural pest management. But if there’s one downside, it’s that you must take it on faith that your chosen treatment has been successful. You typically don’t get the satisfaction of seeing bugs dead on the floor, so you never know for sure whether the issue has been resolved. If you’re not squeamish—and if you’re dealing with something short of a full-blown infestation—consider preparing one or a series of traps. That way, you can know for sure whether or not you’re making strides. Jar trap. From your recycling bin, pull out any glass jar with a height of at least three inches. Cover the outside with tape (sticky side facing out), place a piece of bread at the bottom of the jar, and leave the trap in a location where you’ve seen silverfish. Aided by the tape, the silverfish can crawl in, but they can’t crawl back out on the smooth glass. Sticky trap. Mix flour and water into a paste, with or without boric acid. Next, apply the paste to an index card or a wallet-size piece of cardboard. Allow the paste to dry to a sticky consistency, then place the trap in a spot where you have seen silverfish or suspect they may be hiding. Check it frequently. Look out for any signs indicating that your problem with silverfish has gone from minor to major. Inspect surfaces for crusty, cast-off skins and tiny, pepper-like feces. Likewise, search such things as wallpaper, boxes, newspaper bundles, and book bindings for small scrape marks and ragged edges—either or both of which suggest active feeding. Even yellowish stains on clothing or furniture upholstery can mean that silverfish are attacking your home at night, after having spent the daylight hours in dormancy. To match an aggressive infestation with an aggressive treatment, seek out a commercial pesticide formulated to treat silverfish. Pyrethrin. The active ingredient in many flea-and-tick pet collars, pyrethrin can be successfully used to exterminate silverfish. In comparison with other, broadly similar treatments, pyrethrin may be somewhat safer to use, and because it’s made from the seed cases of certain species of chrysanthemum, it’s biodegradable. That said, there’s no doubt as to its toxicity. Apply the chemical with caution, keeping it away from all children, pets, and food preparation areas. Propoxur. Available in liquid and powder form, propoxur is like pyrethrin in that it’s effective against a variety of insects, silverfish included. But while both kill adult silverfish on contact, neither one works to eradicate eggs. For that reason, using propoxur often requires a sustained campaign, particularly in the case of severe infestations. Before applying any product containing the chemical, don’t skip reading the instructions on the packaging, and always be wary while handling such toxic treatments. Indeed, the best way to live free of silverfish is to prevent them from entering your home in the first place. 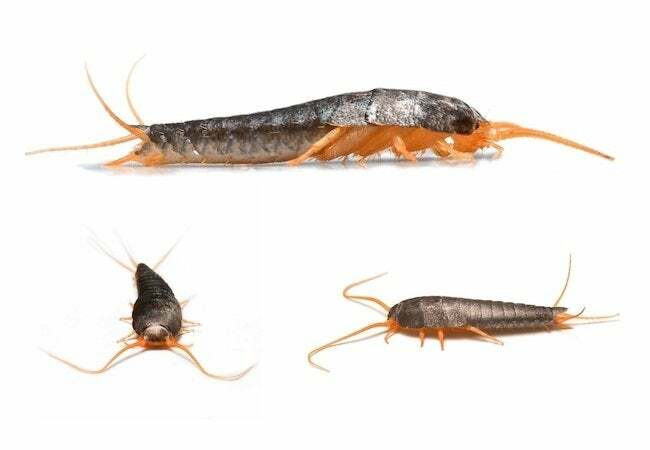 Given that silverfish require and seek out a specific set of living conditions, the following guidelines can help you make your home an unwelcoming place for these hungry, humidity-craving creatures. • Locate and repair leaky plumbing or any other sources of excess moisture. • Use a dehumidifier to bring down the moisture content of the air in your home. • Regularly vacuum cracks and crevices along baseboards and behind appliances. • Remove readily available food sources by storing pantry foods in tight containers. Remember that as an average homeowner, not an expert exterminator, there’s only so much you can do. Ultimately, what you can do may not be enough to get rid of silverfish completely. If worst comes to worst, call in a pest-control specialist and leave the job to professionals who are well trained and well equipped to handle any infestation, large or small. Now that you’ve gotten rid of silverfish, it’s time to tackle other household pests. Check out this video on common mistakes that invite bugs into your home.